Pillsbury Winthrop Shaw Pittman Llp Corporate Office in San Francisco, California, is an American law firm rendering excellent legal aid to technology sectors, financial services, transportation, energy and real-estate. Formed in San Francisco, California in 1874, the law firm has today nearly 700 attorneys attending from fifteen locations spread over the US, Europe and Asia. Pillsbury's legal services include regulatory practice, and corporate and securities, intellectual property, employment. A speciality- the firm has good rapport with both the main political parties of the US. Notably, the company was a votary of labor outsourcing in the 2000s, pointing out cost-saving and providing services to both buyers and providers. 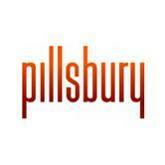 There are currently 0 consumer reviews about Pillsbury Winthrop Shaw Pittman Llp available. Share your review. Please take a note that you are about to post a public review about Pillsbury Winthrop Shaw Pittman Llp corporate office on CorporateOffice.com. This review will be public, so please do not post any of your personal information on this website. If you would like to contact the corporate offices of Pillsbury Winthrop Shaw Pittman Llp, please use their contact information such as their phone number, website, and address listed above to contact them. However, sometimes staff from Pillsbury Winthrop Shaw Pittman Llp headquarters do read the reviews on this website.